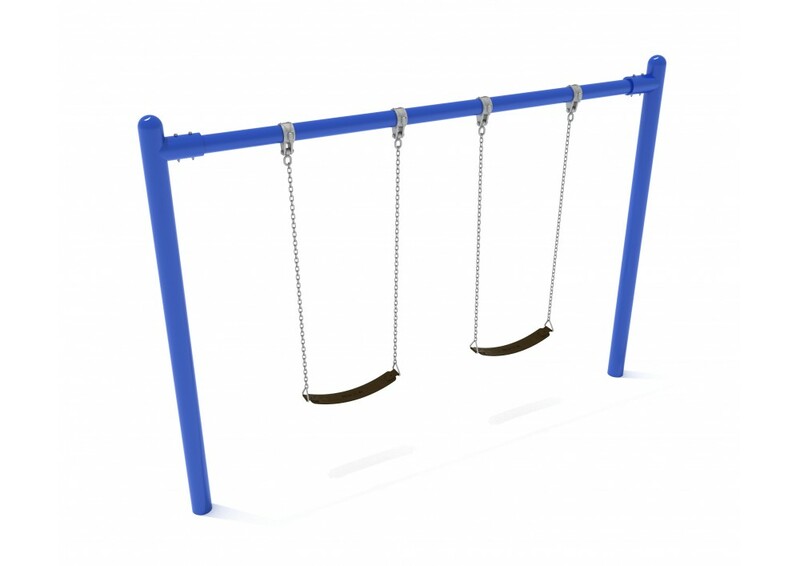 Reimagine your compact playground with the 8-foot-high Elite Single Post Swing. This is a fabulous playground swing meant to accommodate kids of all ages. And the single post design takes up minimal space while delivering a classic, streamlined look. The single-swing bay fits up to two swings and comes with black belt seats, chains, and heavy-duty hardware that will stand up to extreme weather. And, thankfully, the frame is also compatible with bucket seats that will support younger children as they swing, keeping them securely in place. The 8-foot high Elite Single Post Swing can be ordered in Rainforest Green and Pacific Blue at quick ship lead times. Or, select one of our custom hues, available at standard lead times, to match your existing playground structures. Please contact one of our representatives for a complete color list and time estimates. This sweet set will instantly elevate your park, playground, or school's outdoor classroom. And, most importantly, kids will have a blast!